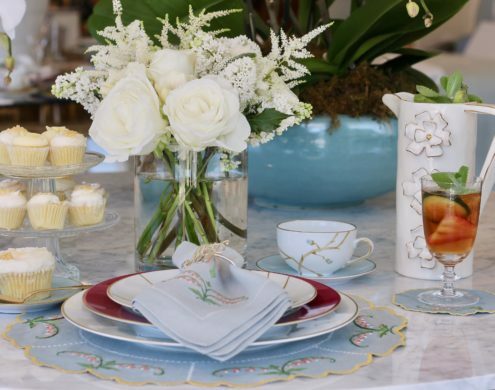 Pull-together floral linens and colorful china to set the tone of your tablescape. Courtesy of Ellis Hill. BIRD Bakery Lemon Elderflower cupcakes to mimic Prince Harry and Meghan Markle's wedding cake. Try a Pimm's Cup as a light British spirit. Traditional English arrangement courtesy of Avant Garden. 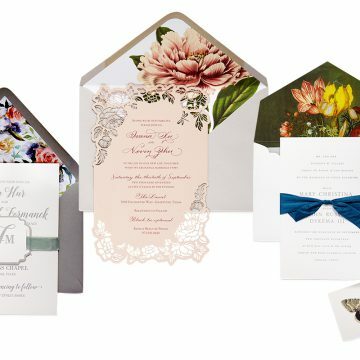 Ellis Hill custom invitation suite for the formal occasion. A light and feminine look by Lonestar Southern. Around here, we are all about weddings. 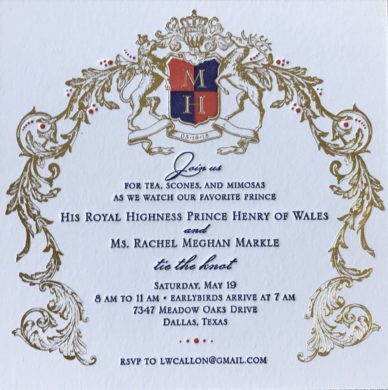 So when His Royal Highness The Prince of Wales announced Prince Harry’s engagement to American actress Meghan Markle, we felt instantly invested in the upcoming nuptials like never before. 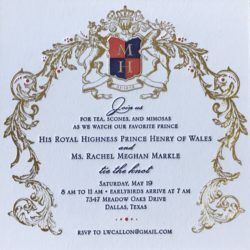 Unique to British Royal tradition, Prince Harry and Meghan Markle will wed on a Saturday, May 19th at St. George’s Chapel in Windsor, Berkshire, England. 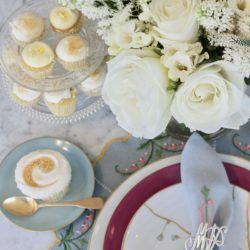 The wedding is just two short days away, but it is not too late to gather the girls for some Harney & Sons and lemon elderflower cupcakes to watch the spectacle. We have provided a guide below on how to host a royal wedding watch party—just in the nick of time! We are inspired by these custom invitations designed by Ellis Hill, gilded and sealed with a wax press. No time for letterpress? Visit Paperless Post for a quick and easy evite—we favor Palaestra Invitation by Crane & Co to match the formality. 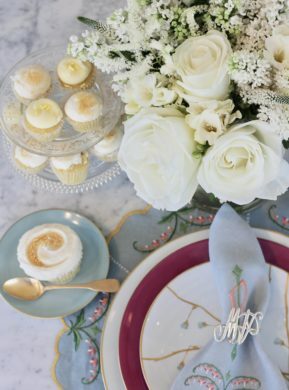 BIRD Bakery located in Highland Park Village will be serving a lemon blueberry cupcake with a St. Germain buttercream in honor of Prince Harry and Ms. Markle’s lemon elderflower wedding cake. You can pick up their mini cupcakes in darling egg cartons, perfect for hosting in a dash. This made-from-scratch bakery also serves a variety of delicious muffins, breakfast breads, and quiches to complete an early morning brunch. With royal commentary beginning at 4 am, no doubt you will need coffee! Royal Blue grocery has a premium selection of coffee, hot tea, and Champagne for mimosas. Desiring something more spirited? We love this Pimm’s Cup recipe for easy entertaining with a true British spirit. We asked one of our favorite bloggers, Kate Padgitt of The Lonestar Southern, what to wear. 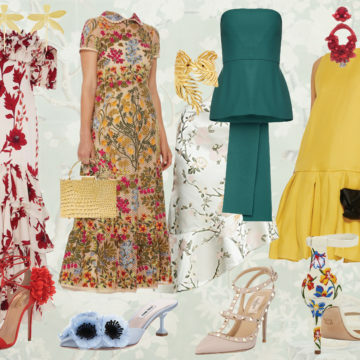 “Since the royal wedding takes place at noon, keeping things light and feminine is a must,” she says. “This beautiful rose-colored dress strikes just the right note for a morning affair. 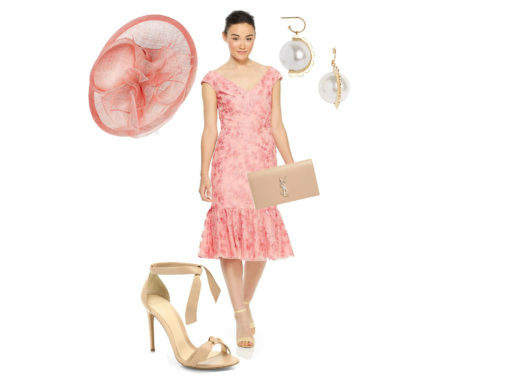 I much prefer hats over fascinators and think this one rounds out the look in a manner fit for a princess.” She paired the dress and brim hat with Alexandre Birman sandals, Pearl drop earrings by Simone Rocha, and Saint Laurent Monogram clutch. Hoping to stay in your pajamas Saturday morning? You can order festive fascinators on Amazon and don your headdress with your favorite slippers and robe. 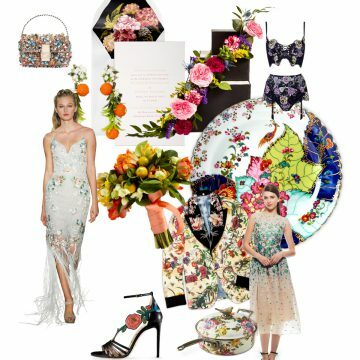 The Royal Wedding is the perfect occasion to set out floral linens and colorful china. 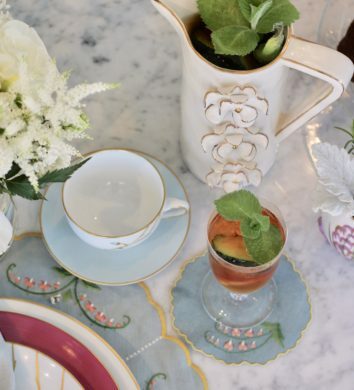 We love this place setting put together at Ellis Hill to inspire your royal table. 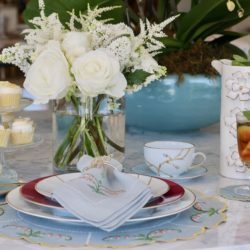 Linens are Julia B Quattro Mani Venezia Collection and china set by Marie Daage, both available in store. 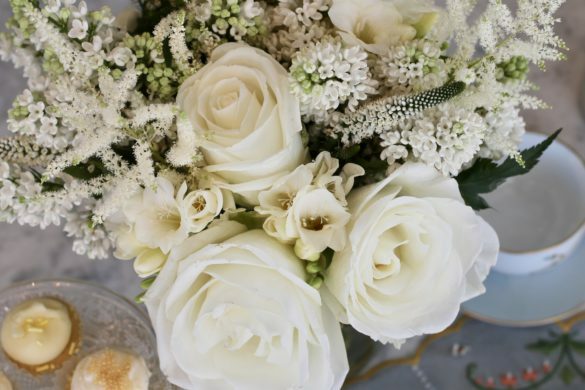 We expect to see peonies, Meghan’s favorite flower, amongst the garden roses, foxgloves, and myrtles on Saturday in a white and green traditional English palette. Take notes from this classic arrangement from Avant Garden, filled with lilac, roses, veronica, astilbe, and freesia. Whether you are waking up before sunrise for the pre-wedding gab or attending a brunch after the fact, here are the best ways to follow the Royal Wedding this Saturday. Instagram: Todd Fiscus of Todd Events will be live commentating on @dweddings story Saturday morning. Follow along as he reacts to all the exciting surprises. 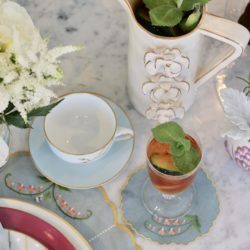 Stay tuned on @dweddings as a Royal Wedding watch party host shows us how she threw a fabulous British brunch. Lastly, Julian Leaver of The Dapper Diplomat will be a Royal Wedding spectator, standing in Windsor for when Prince Harry and Meghan Markle ride through town in an open carriage en route to St. George’s Hall. You can follow his British experience by following @julianleaver and @dapperdiplomat. Around town: Fathom Events and BritBox* will feature an exclusive theatrical presentation of ITV’s Royal Wedding coverage in an encore performance commerical free. Theaters include AMC Northpark Center 15, Cinemark 17 with IMAX, and Tinseltown USA Plano. 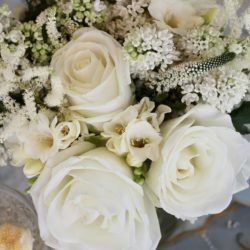 Click here for the full scoop on watch parties around Dallas and what television channels will be live broadcasting the wedding.